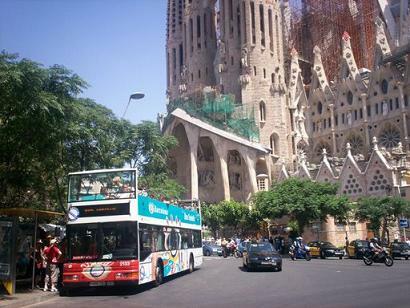 The tourist bus stops in front of Sagrada Familia. It’s 200 metres to the metro station. Sagrada Familia means Temple of the Holy Family. Architect was Antoni Gaudí (1852–1926). The construction of this Catholic basilica started in 1882 and should be completed in 2026. Gaudí planned 18 towers. At this moment 8 towers are build. It is possible to visit one of the towers. The basilica is an UNESCO World Heritage Site. 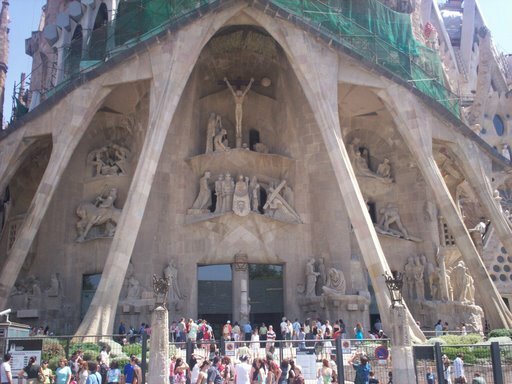 The Sagrada Familia is open 365 days/year. In the peak season (April to September) the opening hours are from 9.00 to 20.00. Off season the church is closing at 19.00 or 18.00. The church is closed at 14.00 at December 25, 26 and January 1 and 6. Metro Line 2 and Line 5 stop at metro station ‘Sagrada Familia’. 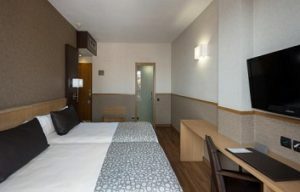 Ayre Hotel Rosellón is a 4-star design hotel just 200m from the Sagrada Familia. 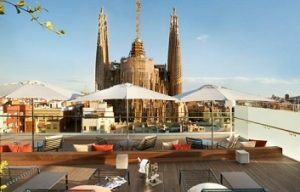 The rooftop of the hotel offers panoramic views of the basilica. 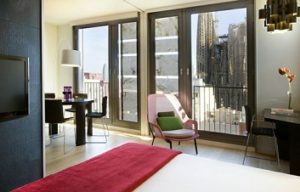 Ayre Hotel has more than 2665 reviews (8.6). 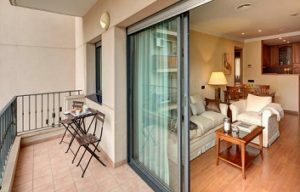 Apartaments Hotel Hispanos 7 Suiza is in a great location. 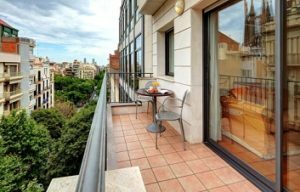 It’s just 150m to the cathedral and 100 metres to the metro station. More than 1000 reviews (8.9). 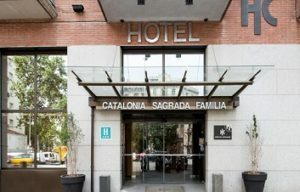 Hotel Catalonia Sagrada Familia is a 3-star property with more than 4000 reviews (8.0). It takes a 15 minutes walk to the basilica and 300m to metro station Clot.